Established in 2015 by photographer Mary Lainhart, Wild Heart Mustangs™ promotes awareness, education and respect for wild mustangs and their distant cousins: donkeys and mules. Mustangs are quite different from domestic horses, and people who acquire them without enough knowledge about feeding, training, and disposition can unintentionally leave mustangs broken in body, mind and spirit. With the right tools, people can create strong partnerships, founded on trust and respect, with wild horses. 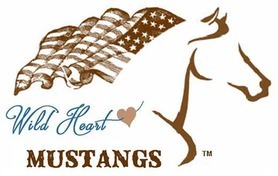 Wild Heart Mustangs™ provides information, support and resources to make that possible. Assistant Editor Jean McMillan is a writer with a background in creative services. An animal lover, she lives in Tennessee with her husband, 9 dogs and 2 cats (all of them rescues). She loves to cook and loves her Wild Heart Mustangs apron. Purchase your own apron and other apparel at the Wild Heart Mustangs SHOP. George Bolender is a web designer with a background in CAD. He lives in NY with his wife of 30 yrs. He has 4 children and 5 grandchildren. His hobbies are hunting and fishing. His favorite past time is family time. 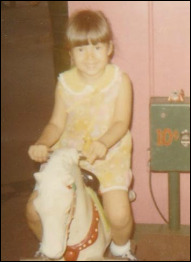 Mary says, "I grew up loving animals of every description, especially horses. Everywhere I went, I had to pet the animals. I had to ride every horse, be it a merry-go-round steed or a coin-op pony - Every time I had the opportunity to ride a horse, I took it." "I just want to help the horses and those who love them." Mary says, "Watching wild mustangs run makes me smile. It's like God took out his paint brush and had fun that day." Mary Lainhart has a wild heart, willing to run with wild horses and try anything new that she believes is worthwhile: "You'll never know if you'll succeed or fail if you never give it a try." The "just give it a try" approach is central to Mary's life in countless ways. Over the years, she and her husband have given a wide variety of projects the "give it a whirl" name Mary has chosen for her publishing venture. She's taking her own advice to "jump in with both feet and follow your heart." "Please add me to your mailing list & keep up the great work!! I love your e-zine!!" - Emily P.
"Thank you for your page!!! I love it! I love the work you are doing in honor of our great American History!!!" - Robin S.
"Thanks for providing the great source for mustang and burro information! - Melinda H.